Though our dentists will always try to save a tooth, there are situations where the final measure, extraction, must be taken. In the case that extraction of the tooth is necessary, our dentists and staff ensure that the patient is comfortable and numb from topical anesthetic gel and local anesthetic injections. Nitrous oxide is also available for patients who would like the calming effects of the gas. Before extraction, the patient will be directed to take over-the-counter pain medication and afterwards, we give each patient a packet with more medication and instructions for optimal recovery. Wisdom teeth extraction is recommended for most patients and our dentists have been thoroughly trained to perform this treatment with the utmost level of professionalism and care. Wisdom teeth are the final molars that typically form in the late teens and early 20’s. 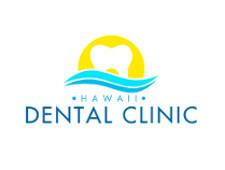 Because of their placement in the far, back corners of the upper and lower mouth, they can negatively affect the bite causing crowding, or other problems. Wisdom teeth can often become impacted causing swelling and/ or infection so it is better to have them removed before this painful symptom occurs.